The 2018 edition of the Danube Transport Factsheet recently released by Pro Danube presents updates on the transport volumes on the Danube, on the actual and future activities and projects meant to secure stable fairway conditions, boost fleet & ports modernization as well as reduce administrative barriers. For details, please check this factsheet here. Among the highlights of the third edition of the high level event "Danube Business Talks" organized by viadonau was the presentation and the handing over by Mr. Manfred Seitz (representing Pro Danube International) of the Danube Waterway Industry Declaration to Mrs. Désirée Oen, Policy Adviser to the Rhine-Danube Coordinator, European Commission, and Mr. Norbert Hofer, the Austrian Federal Minister for Transport, Innovation and Technology. The proposed measures will be used as input to the important decisions that are foreseen to be taken at the meeting of the Danube Transport Ministers on the margin of the Transport, Telecommunications and Energy Council (Transport) on 3 December this year. The declaration is reinforcing the voice of IWT stakeholders in the decision-making process at the national and European level. 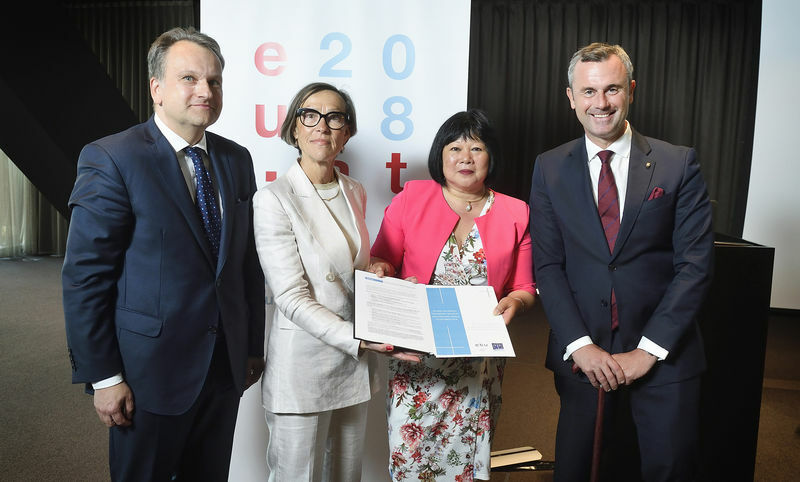 Furthermore, EBU and ESO have compiled the Inland Waterway Transport Industry Declaration, while viadonau drafted a list of findings sumarizing some of the most important issues and opportunities for inland waterway transport, especially in the Danube Region. The development of the Danube as a reliable transport mode is a project that has to go beyond borders. Although tangible progress has been achieved in the framework of the European Strategy for the Danube Region (EUSDR), the outstanding potential of the Danube and its navigable tributaries as an environmentally friendly and cost effective transport mode is by far not sufficiently exploited. As the Danube is regarded as an indispensable part of the Trans-European Networks for Transport, the businesses which form the Pro Danube network request both the national and European policymakers to take more concrete measures in order to overcome the existing shortcomings in the waterway infrastructure, to expand the Danube ports into centres for regional development and last, but not least, to actively foster the modernization of the Danube fleet. The upcoming Multiannual Financial Framework 2021-2027 has to be used at its full potential in order to overcome the bottlenecks that are hindering the development of the IWT on the Danube as a feasible alternative to road transport. Establish and ensure a safe and reliable waterway infrastructure. Execute the pre-defined TEN-T bottleneck infrastructure projects. Develop the Danube ports into effective centres of intermodal logistics and industrial growth. Reduce administrative barriers for waterway Transportation. With the deepest sadness, we regret to inform you that our respected president, colleague and friend, Mr. Alexandru Capatu, has passed away on Saturday, 1st of September 2018. He has been fighting his serious illness in the past months with the same passion as he was striving for the improvement of the Danube waterborne transport over his entire business life. Being one of the founders of Pro Danube International, Alexandru was the driving force behind several important initiatives such as the concept of “Same River – Same Rules” and the “Green Deal for Danube River Transport”, high-level political events like the “Danube Transport Days" in the European Parliament and many other strategic and policy initiatives. Alexandru with his warm attitude and kind but firm professionalism will always remain in our hearts as a man of vision and dignity. Funeral services will take place on 08.09.2018 at the Vienna Central Cemetary in Hall 2. For more details, please refer to the attached information here. You may express your condolences in the online memorial book which can be accessed here. On 6 June 2018, Constanta Maritime Ports Administration and Pro Danube International together with MEP Ana-Claudia Tapardel organized the third edition of the “Danube Transport Day” in the European Parliament, an edition dedicated to the promotion of Port of Constanta as multimodal logistics hub being essential for regional development and as strategic partner of the Danube river ports. The event brought together representatives from the European Commission (Maja Bakran-Marcich – Deputy Director General DG MOVE, Marco Onida – EUSDR Coordinator, DG REGIO, Hugues van Honacker – DG MOVE, Wojciech Sopinski – DG MOVE), from the European Parliament (MEPs Gesine Meissner, Ines Ayala), from the Danube States (Lucian Şova – Minister of Transport of Romania, Dan Tivilichi – CEO Port of Constanta, Levan Akhvlediani – Port of Anaklia, Decebal Făgădău – Mayor of Constanta, Romania), high level industry leaders (Viorel Panait – Constanta Port Business Association, Antonio Stoean – TTS Group, Radu Comanici – Danubia Kreuzfahrten GmbH) as well as more than 70 experts and stakeholders with a dedicated interest in Danube navigation and in the development of Constanta port. 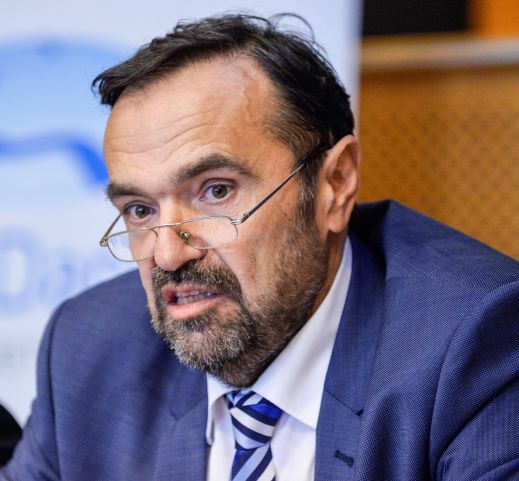 As host and member of the European Parliament's Transport Committee, MEP Tapardel opened the event with a message highlighting the importance of the Port of Constanta in the transport and trade scheme in Europe. "Port of Constanta undoubtedly offers the widest variety of maritime transport facilities and I strongly believe that Romania can become the main gateway to Europe for goods from East Asia and the Middle East. The hinterland of Constanta port can be extended to Central Europe under the condition that its connections with road and rail transport are being developed as well as navigation conditions on the Danube are being improved”, said Ms Tapardel. 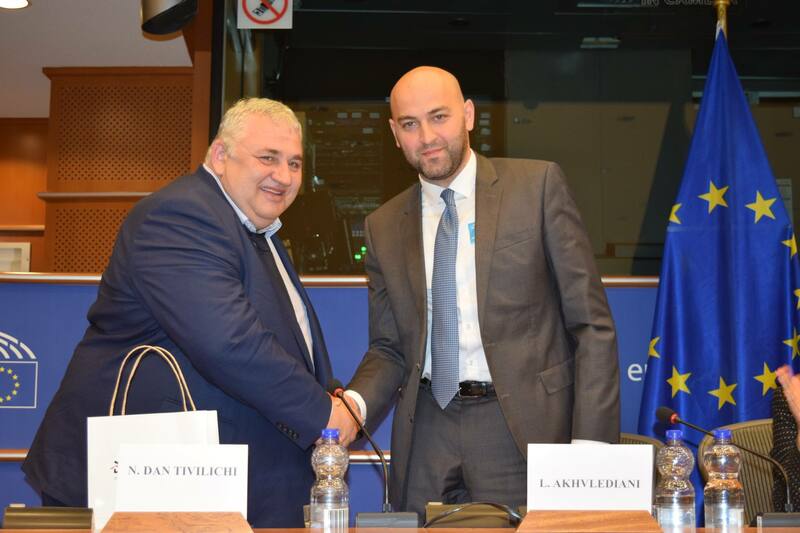 One of the main messages of MEP Tapardel referred to the fact that effective and sustainable Danube navigation constitutes a notable way to reach the multimodality objectives of the European Union while stimulating the industry and economy of the riparian countries. Commissioner Creţu has sent an important message reiterating the importance of a better intergovernmental cooperation with the EU and non-EU states, which contributes to the development of the Danube Region Strategy. “The Danube region requires the implementation of new road, rail, maritime and multimodal infrastructure projects and this cannot be done without the support of the European institutions.” Commissioner Creţu reviewed some of the initiatives by which the EC supports regional cooperation and called on stakeholders to be more active in addressing national and European decision-makers. On behalf of Romania, Mr Lucian Şova, Minister of Transport, presented the projects supported by the Romanian Government for the development of the Constanta port, as well as the close cooperation between the operators and the local administration and stressed that it is extremely important for the national authorities to value the technical capacity of Constanta port and continue to support initiatives that will contribute to its global competitiveness. At the same time, Minister Sova appreciated the importance of this event and supported the idea of its continuation in the years to come. Decebal Făgădău, the Mayor of Constanţa, referred to the crucial importance of good cooperation with the neighboring states regarding the navigability of the Danube, especially the collaboration between Romania and Bulgaria. From his perspective, the solution to any misunderstanding on this subject can only be solved by developing joint projects and accessing structural funds for their implementation. MEPs Ines Ayala (ES) and Gesine Meissner (DE) highlighted the importance of the unique position of Constanta Port and its relevance for ensuring a good level of multimodal interconnectivity at European level. This requires a series of long-term initiatives and projects that will maximize its potential by means of new infrastructure and by accessing European funds. According to Dan Tivilichi, CEO of Constanta Port, out of the 60 million tons of goods operated last year in the port of Constanta, 13 million tons have been transported on the Danube. The amount could reach 20 million tons if navigability conditions improve. Despite all blockages which were caused mainly by the lack of dredging on the Bulgarian sector, Constanta port remains an intermodal transport hub in the region. Private investment in recent years has been concentrated around new grain storage sites. For the next 5 years private investments of over 200 million euros have already been announced. These are added to the investments the Maritime Ports Administration has on its own, both from European funds and from its own funds, which are mainly focused on the development of naval infrastructure. Viorel Panait, President of Constanţa Port Business Association presented some of these investments such as in grain, bulk and container terminals. He also numbered the negative impact of the non-execution of dredging works on the Bulgarian Danube section and asked for a long-term commitment to professional fairway maintenance. Manfred Seitz, General Secretary of Pro Danube International, has raised the awareness towards the important role the port of Constanta for the Danube ports and the overall IWT sector. According to Mr Seitz, "Danube waterways can provide efficient logistics solutions both in terms of costs and from an environmental perspective, which will improve the competitive situation of many industries that seek access to the Black Sea, Caspian and Middle East markets, with Constanta port as the optimal link between Europe and Asia.” Mr Seitz introduced the strategic project “DAPhNE – Danube Ports Network” receiving funding from the Danube Transnational Programme. The permanent cooperation platform of the Danube ports will become operational as of July 2018 and its activities shall focus on 3 main intervention directions such as (i) greening& climate change adaption, (ii) innovation & digitalization, (iii) supporting regulatory framework & port governance. The event was marked by the conclusion of a Memorandum of Understanding between the Maritime Ports Administration Constanta and Port of Anaklia from Georgia. Its signature has laid the foundation for an effective partnership and collaboration between the two ports, emphasizing the importance of developing traffic between Constanta port and Georgian ports by revitalizing direct connections between Romania and Georgia and be part of the “One Belt, One Road” initiative.